It’s official: we’re experiencing the longest summer heatwave in over 40 years here in the UK! And while that’s great for the beach bums amongst us, it can be a little challenging to take good care of our skin in these conditions. Don’t worry on that front – here at AP Skincare, we’ve got you covered! Here are our top tips for looking after your skin in the steadily rising temperatures, so that you can keep looking and feeling amazing. You knew we couldn’t get too far without mentioning suncream! Most of us have experienced what’s called ‘first-degree sunburn’, where exposure to the sun causes mild, superficial reddening. It’s not ideal, but it’s nothing to worry about on its own, either. When it moves onto second-degree sunburn, however, that’s where it can start to cause more long-term harm. We’ll spare you the full details here (we could fill another post with them!) but let’s just say it’s something you’ll want to avoid. 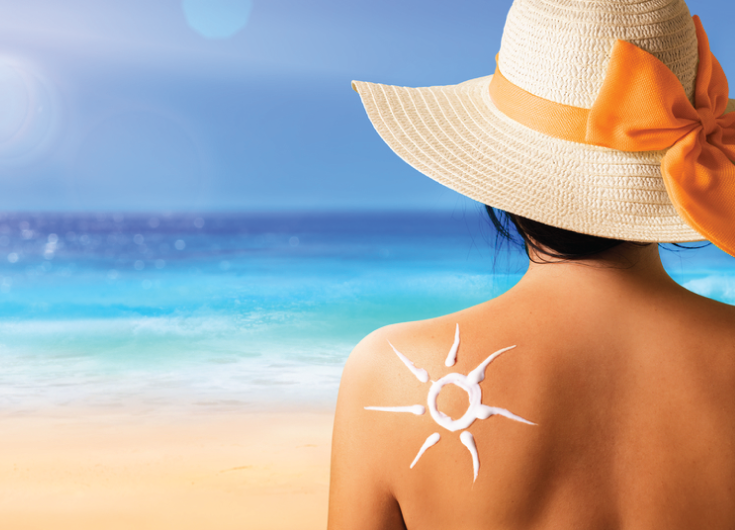 When it comes to suncream, you’ll ideally want a broad-spectrum option with high SPF, or sun protection factor. This will protect you against UVB (cancer-causing) and UVA (skin-ageing) rays. Speaking of anti-ageing, our own anti-wrinkle treatment is a fantastic option to give your skin that wonderful youthful, glowing look! Now, we all know suncream takes a bit of time to work, so it’s best to apply it at least 20 minutes before you step out into the full sunlight. And remember, try to stay out of the sunlight in peak times of 10am to 4pm, when the sun is at its hottest! This can be a particular challenge for those of us who don’t like leaving home without it, but trust us on this one! A heavy face of makeup can not only be uncomfortable in high temperatures, but can even be actively harmful. When it comes to foundation, for example, our recommendation here at AP Skincare would be to steer well clear altogether. It won’t offer any protection for your skin, and you could even find that it runs in hot weather. Instead, go light; use tinted moisturiser, and just run a bit of concealer over blemishes and spots. If you can’t go without mascara – understandable! – switch to a waterproof option instead. While most of us exfoliate all year round, it’s particularly important in summer as it helps you avoid those dry patches of skin, and sallow complexion. What’s more, it keeps your pores unblocked as you’re applying sunscreen throughout the day. This is because as you’re removing dead skin cells, you’re speeding up your skin’s renewal process. Just be careful not to overdo it! If you’re a bit overzealous you can end up removing too many protective layers of your skin. This can end up increasing your sensitivity to sunlight by over 40%, which is a very scary number! So then – how much is too much? Once or twice a week will generally do the trick. You can go over that very occasionally, but try to avoid doing it on a regular basis. As for staying hydrated, don’t forget to apply a good-quality moisturiser after you shower, and drink plenty of water to look after your general health, too! Here at AP Skincare, your skin’s health is our top priority. That’s why we offer a range of core skincare treatments, including derma-facials and chemical peels that revitalise and tone your face. They’re particularly popular in this hot weather! To book an appointment with us, why not stop by our Blackburn treatment centre, or give us a call on 01254 297 000?